Some say fay, some say fairies, some wee folk or pixies but the truth is that fairies don’t give a hoot what you call them just as long as you invite them to dine and serve plenty of sweets. Look who I spotted in my garden. Yasmin the effervescent, at times incandescent, Bluebell Fairy. Like their drab cousins, the hummingbirds, fairies subsist mainly on nectar and sugary treats. Social etiquette rule #1 amongst the fey; start all conversations with an insult of two aimed towards hummingbirds. I always have a tin of Rose flavored Turkish delight on hand in case there is a wee rap at the window. 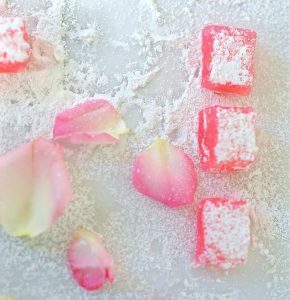 Turkish delight is nothing but a magic spell suspended in sugar. Social etiquette rule #2 amongst the fey; don’t say it if you don’t mean it. Fairies are literal. 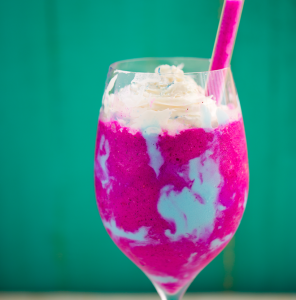 When I served them this Copycat Unicorn Frapp created by the lovely enchantress Kathy and I told them to dive in. They did just that. “Ooooh it’s cold” they called to me as they slid down the straw, “and yummy”! Social etiquette rule #3 amongst the fey; say it with flowers. Who do you think first taught humans the language of flowers? Yup you guessed it, fairies. Never garnish with mock-orange (stupidity) or hydrangea (heartlessness). 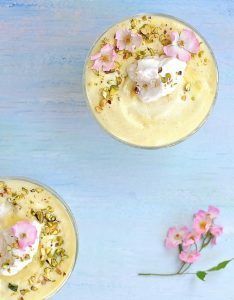 I chose to add tiny pink roses (grace, and joy) to this airy dessert. This lighter than air Lemon Mousse will having you floating on a cloud, a lemon flavored cloud. Social etiquette rule #4 amongst the fey; too much is never enough. 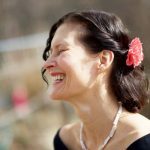 Some say that Melisa Huggins is creative in the kitchen, I say she is obviously Glinda the good witch’s prettier sister. 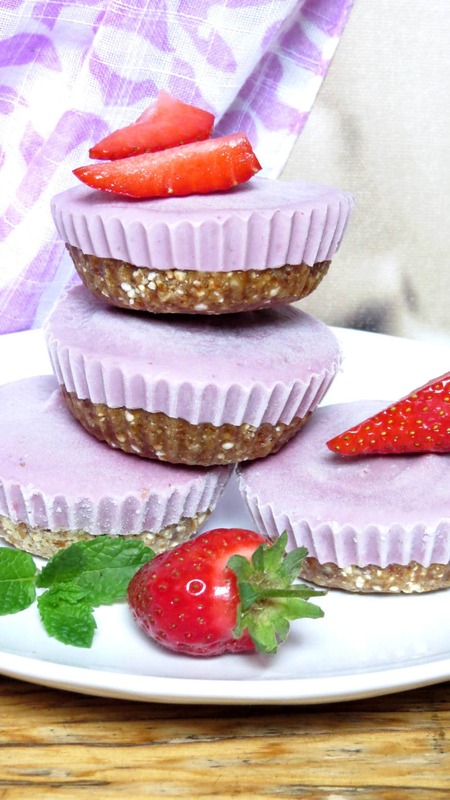 Honestly she must have used her magic wand to fit layer after layer of yumminess into these sugar free Cherry-Coconut Cheesecake bites. 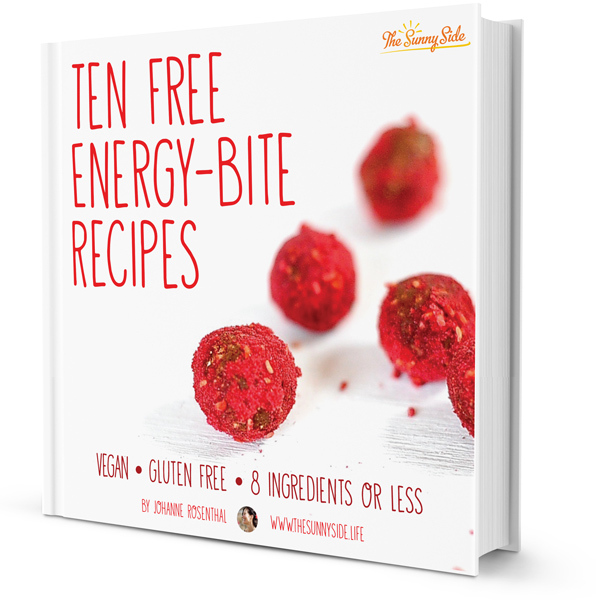 Rebecca specializes in allergy friendly foods and her entrancing Ginger Glazed Sweet Potato Doughnuts had the fairies jumping for joy. 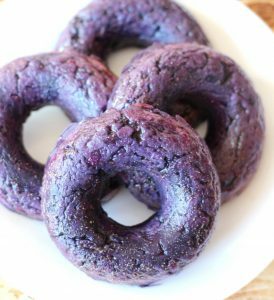 Social etiquette rule #5 amongst the fey; doughnuts must be served at every meal. 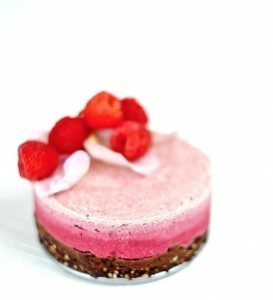 I keep one of these diminutive ombre Raw Raspberry Rose cheesecakes in the freezer in the event of an impromptu tea party. A quick 15 minute thaw and we are good to go. Social etiquette rule #6 amongst the fey; If you have time: you have to Rhyme. 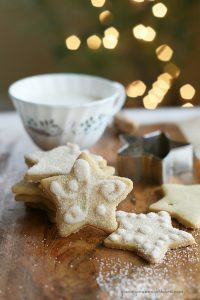 Tell your guests that these sparking vanilla sugar cookies were plucked from the firmament just for them. Social etiquette rule #7 amongst the fey; a fine gift poorly wrapped is no present at all; an empty box divinely wrapped is the greatest gift of all. 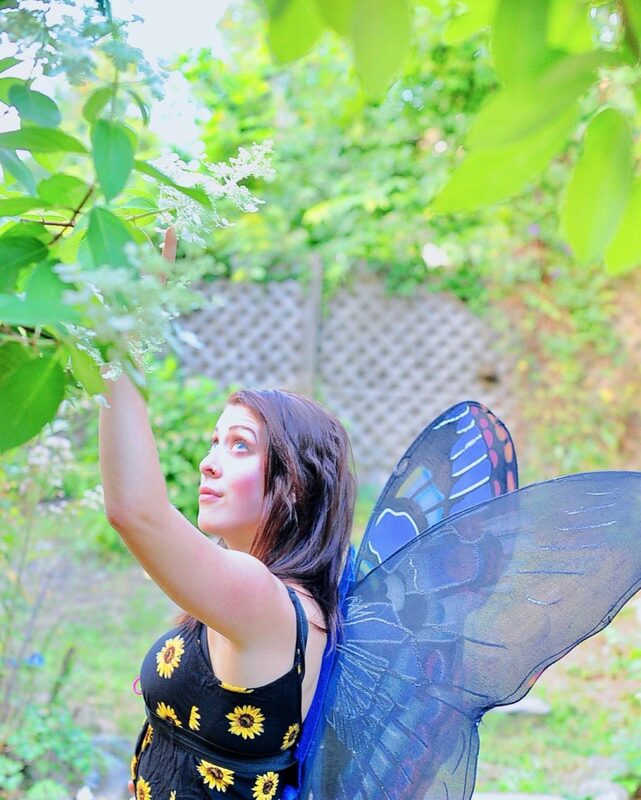 Social etiquette rule #8 amongst the fey; Fairies don’t get hangry they just get mopey. 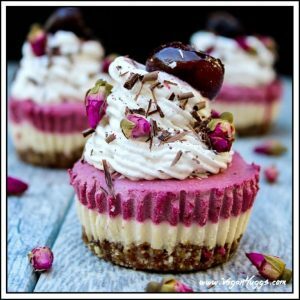 When your guests wings begin to droop and they start quoting Yeats shove one of these dainty Vegan Strawberry Cheesecakes in their little maws. They’ll perk up right fast. Unicorns and fairies go together like wine and roses, like confetti and nice cream, like Monarchs and Milkweed. If your guests ask, answer them yes! 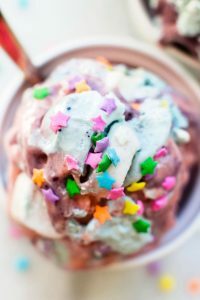 the Unicorn Nice-cream is made from real unicorn. Although Kelly and I have never met I am sure that she is a magical creature. 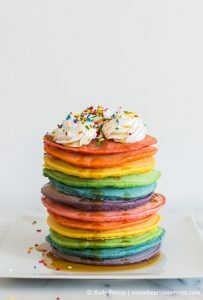 Who else could have created such a prismatic stack of Rainbow Pancakes? She and her bunny rabbit probably start each day with a fairy tea party. Shouted a wee winged friend as she leapt up onto my counter where I had just rolled out the dough for these scrumptious Sticky Lemon Sweet Rolls. 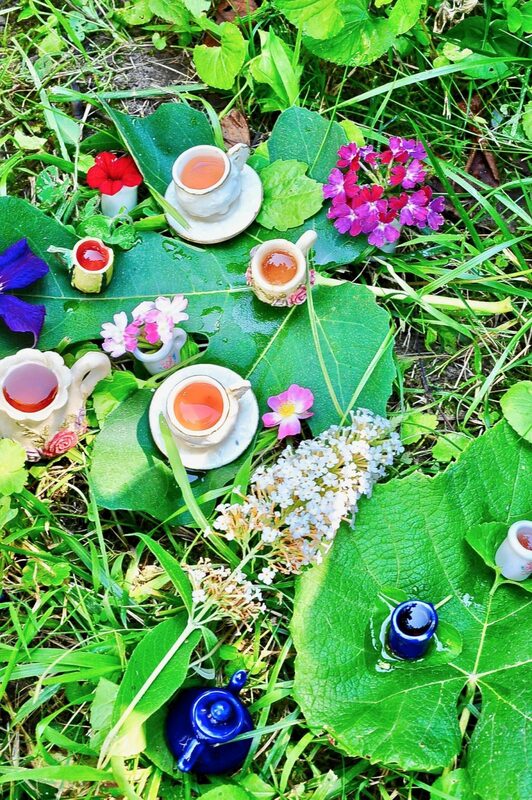 Social etiquette rule #9 amongst the fey; Play with your food, play in your food, when in doubt play, play, play!!! . Tink was not all bad; or, rather, she was all bad just now, but, on the other hand, sometimes she was all good. Fairies have to be one thing or the other, because being so small they unfortunately have room for one feeling only at a time. I imagine Nicole sitting inside a golden squash blossom in her verdant garden guarding her vegetable patch from marauding pixies and concocting recipes to tantalize our taste buds. 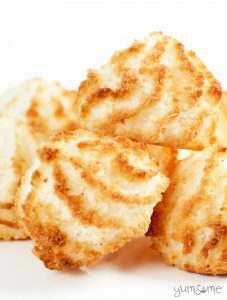 These Macaroons are everything a child dreams of on a summer afternoon, moist, coconuty and generously portioned. Social etiquette rule #10 amongst the fey; fairies will only linger as long as the food holds out (like me watching the Super Bowl). Plan accordingly. 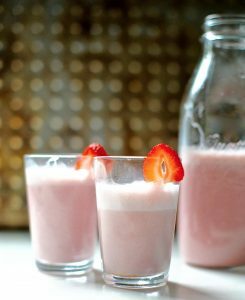 Fresh Strawberry Almond Milk , Aka Unicorn laughter is the perfect drink to pour into thimbles for your wee companions. A word of warning anything pink intoxicates them. Remember: Friends don’t let friends drink and fly. 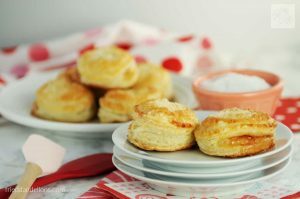 When I placed these Lilliputian feather lite Pastelitos Guyaba on the picnic blanket there was a gasp of pleasure and each fairy dipped their finger into a pastry and dabbed a bit of guava jelly behind each ear. Guava is a fairy aphrodisiac. Love was in the air. Literally. 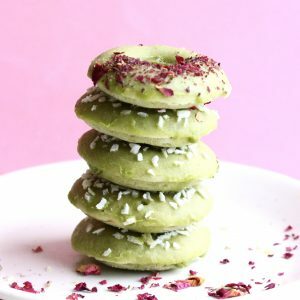 “Thank you for the fantabulous green abode.” said the wee winged guest to my right when I pulled this stack of Matcha Baked Donuts from the Picnic basket. “Actually, ahem, these are donuts” I corrected. And she entered her sweet baked house slamming the door behind her. Perhaps you’ve offended the wee folk in your garden and you find the almond milk is curdled and the dogs tail is woven with brambles. 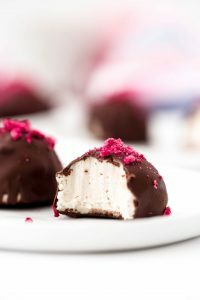 There is only one course of action: whip up a batch of these Vanilla Buttercream chocolates, wrap them in a bright satin bow, grovel and make amends. 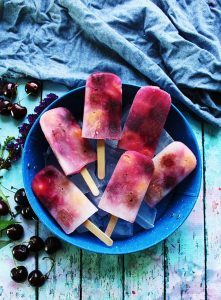 When I set these dreamy Watercolor Fruit Pops out the fairies bade me put them in a vase like bouquet of flowers. My sapphire winged friend Zee fluttered over and gave one a lick. “Tastes like twilight with a dash of ennui” she pronounced. The great Fairy War of 2017 came to a sudden and silent halt the moment I placed this enchanting cake in the garden. One moment the acorns were flying, the Columbine fairy was pulling out the hair of the Poppy fairy who was dunking the Aconite fairie’s wings in a pot of nectar. Insults were hurtling about the garden like poison tipped wasps. Pixie dust coated mud balls splattered the wings of butterflies who accidently got caught in the crossfire. 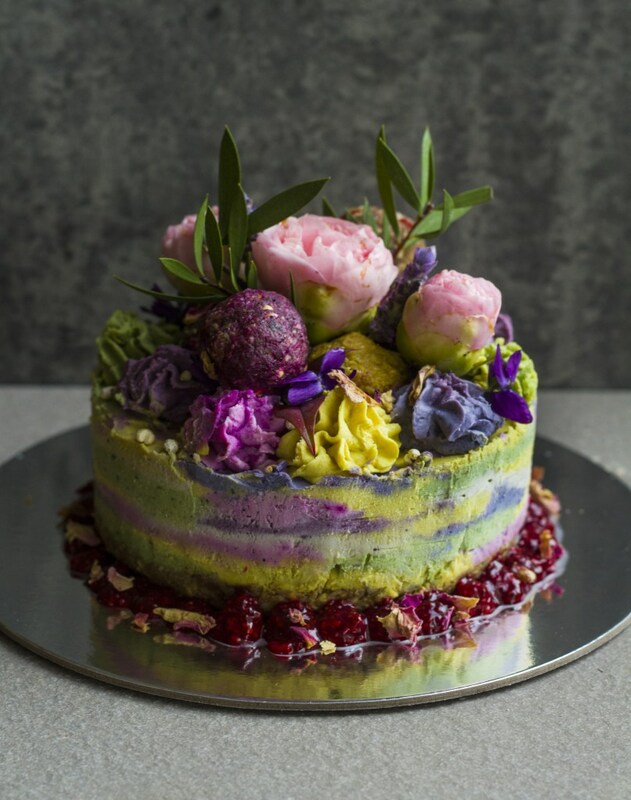 Out I bravely strode with this magnificent Rainbow cheesecake and place it on the table. An immediate Ceasefire was called by a sides. 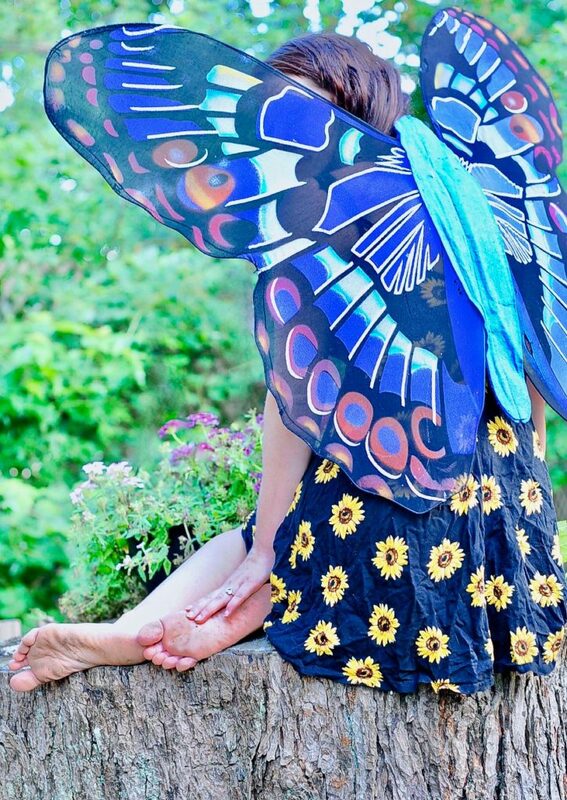 Such enchanting photos of one of my favorite fairies. Your fairy almost made it in the post but Meghan photo bombed their shoot. Boo Hoo. Awww I’m so glad you liked it! 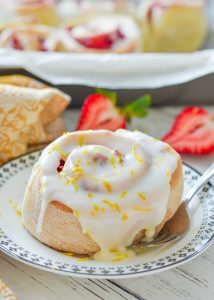 Cause it wouldn’t have been a tea party without your scrumptious pillowy sweet rolls!